The projected cost of remaining cleanup at the Hanford Site has dramatically increased over the last three years, according to a Department of Energy report made public on Feb. 1. The 2019 Hanford Lifecycle Scope, Schedule and Cost report estimates the remaining cost of environmental remediation of the former plutonium production complex in Washington state at $323.3 billion under a best-case scenario. The worst case would be $677 billion, the report found. The previous life-cycle report, released in early 2016, projected the remaining expense in a range of $103.5 billion to $107.7 billion. Costs in the future years in both the current and prior life-cycle reports have been adjusted to reflect inflation, and both documents include about 20 years of limited spending on surveillance after cleanup is completed. Much of the increase in the new cost estimates is associated with Hanford’s 56 million gallons of radioactive tank waste, left from chemically reprocessing irradiated fuel to remove plutonium. The new report estimates spending for the remainder of management and treatment of tank waste in a range of $221.4 billion to $518.1 billion, up from the $53.5 billion projected in the 2016 report. The new low-cost range incorporates the changed milestones for Hanford’s tank waste retrieval and treatment completion milestones in the federal court consent decree on Hanford cleanup, as amended in 2016. It reflects DOE’s new plan to start treating low-activity waste at the Hanford Waste Treatment Plant (WTP) as work continues to resolve technical issues with processing high-level waste elsewhere at the plant. The latest milestones require the start of low-activity treatment by 2023, with the plant being fully operational in 2036. Before the consent decree was amended, the entire plant was required to be fully operating in 2022, with no plans for initial treatment of just low-activity waste. The high-cost range incorporates uncertainties. They include the WTP’s major processing facilities failing to meet the planned 70 percent operating efficiency, extending the length of operations. There also is a high likelihood that the plant’s Pretreatment Facility, where construction remains halted by technical issues, may not be completed in time to allow commissioning with radioactive waste by 2033, the report said. There are questions about whether the design life of the plant will be adequate if operations drag on for too long. Partial or full replacement of the WTP High-Level Waste Facility is considered “very likely,” the report said. Some parts of the plant, such as mixing systems for high-level waste, are technically complex and will be highly radioactive once they are in use. If the pulse jet mixing system fails in the Pretreatment Facility, the entire facility may have to be replaced, the report said. In the tank farms, risks include double-shell tank leaks. If more double shell tanks are taken out of service, it could impact retrieval of waste from single-shell tanks. Single-shell tank wastes are being moved into the limited space in double-shell tanks for storage until the waste can be treated. One of the 27 double-shell tanks had to be taken out of service after it developed a leak between its inner and outer shells. Emptying the 149 single-shell tanks of waste may fall behind schedule, the report said. The amended consent decree calls for 25 single-shell tanks in the C, A, and AX Tank Farms to be emptied by March 2024, with continuing single-shell tank retrieval beyond then to provide feed for the Waste Treatment Plant operations. In addition, the 242-A Evaporator, needed to allow single-shell tank waste retrieval to continue, is highly likely to fail and need to be replaced before all waste is treated, the report said. Under the low-range estimate, Hanford cleanup would be completed in about 2079. The maximum spending is forecast for the year 2064 at close to $9 billion. The current annual Hanford budget is about $2.5 billion. Under the high-range estimate, cleanup would be complete in about 2102, with peak spending in 2088 of about $16 billion. The 2016 report put the end of most cleanup in about 2066 with peak spending of about $3.75 billion in about 2018. 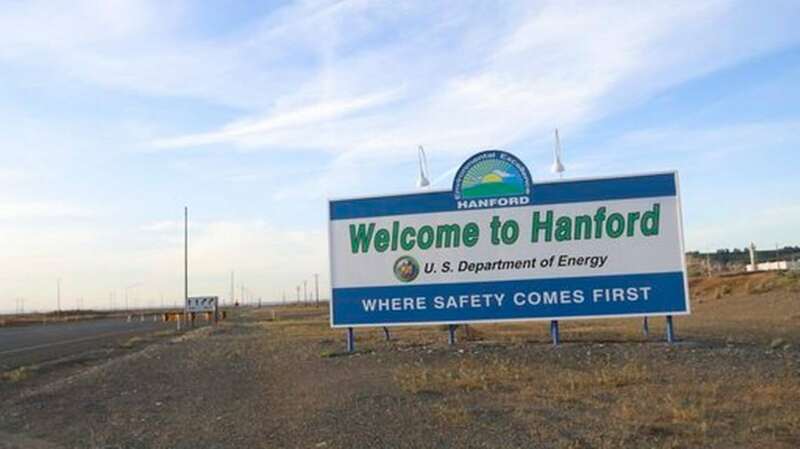 Roughly $50 billion has been spent since Hanford cleanup began in 1989.The contaminated portion of the 586-square-mile site has been reduced to 76 square miles, mostly in the center of Hanford. Some 889 facilities out of 1,715 have been demolished and 1,342 waste sites out of 2.032 have cleaned up. Six plutonium-production reactors have been put in interim storage, or cocooned, with two left to go, and 20 billion gallons of contaminated ground water have been treated. The largest scope of work remaining is disposition of the site’s tank waste. Just 3 gallons of 56 million gallons of tank waste have been treated sent to disposal. The life-cycle report is an annual requirement of the Tri-Party Agreement governing cleanup to inform budget discussions, but regulators have allowed DOE to skip the report for two years to allow more complete information to be included. The Washington state Department of Ecology, a Hanford regulator and party to the Tri-Party Agreement, wanted information from the River Protection Project System Plan 8 included. The plan is the eighth revision of a DOE tank waste project analysis that looks at costs under different scenarios using computer modeling. It was released in October 2017. Because of System Plan 8 and other information, the state agency was not surprised by the numbers, said Alex Smith, Ecology’s nuclear waste program manager. Ecology has been saying that Hanford budgets in recent years are inadequate to keep cleanup on schedule.